​wishing Luck for 2018 and Luck in general. ​Two non-chalkboard cards are included too - not so heavy on ink! 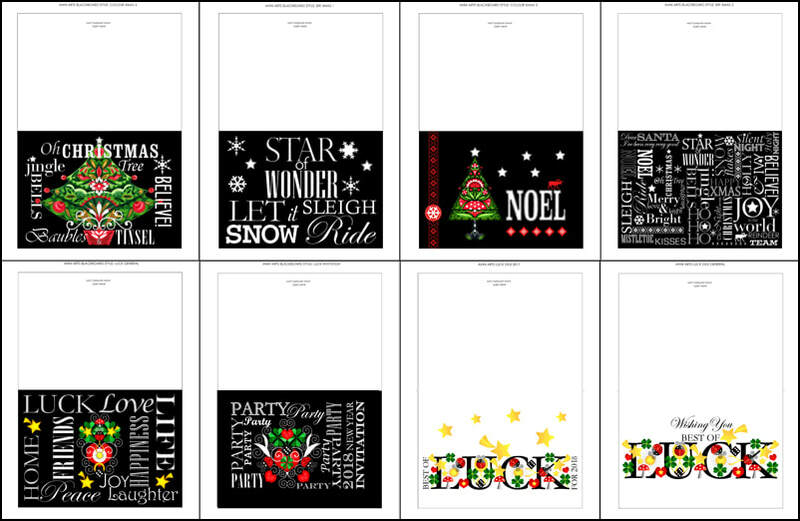 The four Blackboard style Christmas cards are available as a single set too.